After back-to-back Rose Bowl appearances, the 2012 Badgers face some uncertainty with many new faces. Paul Chryst led an exodus of assistant coaches going for greener (they assume) pastures. And with any season, there is a certain amount of turnover from year-to-year to deal with. None more important than Danny O’Brien having the daunting task of replacing Russell Wilson. Even with this turnover to the coaching staff and certain key positions, the Badgers are one of the favorites to win the Leaders Division and earn a third trip back to Pasadena. As always, the Badgers open the season with some cupcakes. Apparently, N. Iowa didn’t get the memo. In a game that was much closer than it should have been, Bucky’s play was eerily similar to last year in several areas, both good and bad. O’Brien looks to continue the new trend of great-QB play at UW. First, the good. The most encouraging aspect of the N. Iowa game was the play of Danny O’Brien. Finishing 19/23 with two touchdowns to Abbrederis, O’Brien’s 83% completion percentage was higher than all but one of Wilson’s games last year. (Of course, that game came at Minnesota. Eight-straight indeed.) To have a QB that can make all the throws is a sight for sore Bucky eyes. The stable of QBs that have come through this program prior to Wilson is a who’s who of WHO?! Seeing O’Brien drop the bomb over Abbrederis shoulder was a thing of a beauty and will make this offense click if he can keep it up. Picking up right where he left off, Montee Ball began his Heisman campaign with another steady performance. Ball rushed for 120 yards and 1 TD in a very ho-hum game. He has now scored in 21-consecutive games. Ball showed no ill-effects from the vicious attack in the pre-season that required him to be held out of camp and contact leading up to the game. Running behind an offensive line that A-Rodg envies, Ball has a real opportunity to bring back the 3rd Heisman in UW history. Now, the bad. A game that was seemingly in hand went down to the very end thanks to more miscues on defense. In a nasty habit for both Wisconsin football squads, the defense gave up more big plays. After not allowing N. Iowa to pass the 50-yard line until the 3rd Quarter, the defense went into prevent-the-win mode and allowed the late-game charge. Missing is any real push from the down linemen and a secondary not known for it’s ballhawking skills. Part of the reason N. Iowa had the chance to get back in the game was the offense scuttling in the red zone. Two impressive drives early in the games resulted in short field goals. 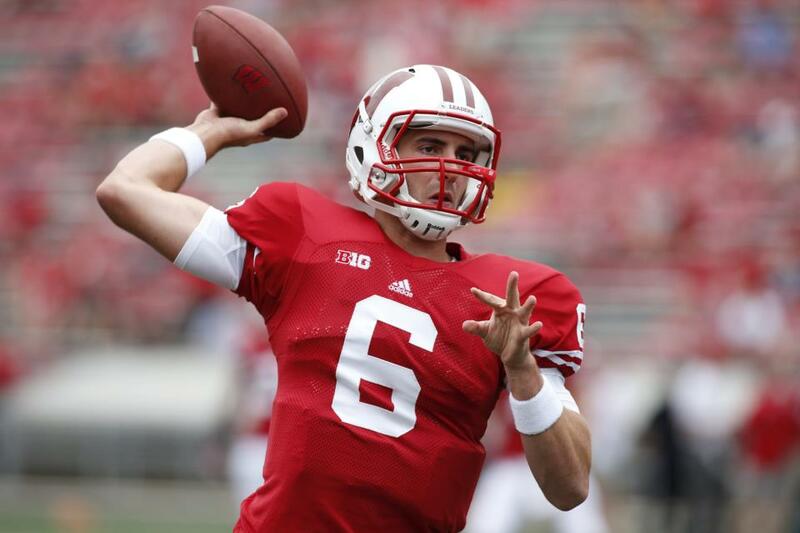 The Badgers must take advantage of early chances to dagger its opponent. It’s the first game, and with no pre-season, some rust and inability to close out drives is to be expected. But, the downfall is exactly what happened – you let David linger long enough to knock off Goliath. As new offensive coordinator Matt Canada and O’Brien get settled into the offense, this issue should hopefully only be a one-game concern. It was another opening game victory for the Big Red. With O’Brien showing he can fill Wilson’s shoes and Ball scoring touchdowns at will, another Leaders Division title and Pasadena berth is well within reach for this new group of Badgers. This entry was posted in Badgers v. Gophers and tagged Abbrederis, Badgers defense issues, Badgers Football, Badgers Northern Iowa, Ball for Heisman, Ball Heisman, Ball So Hard for Heisman, Danny O'Brien, Montee Ball, O'Brien UW, UW Football. Bookmark the permalink.